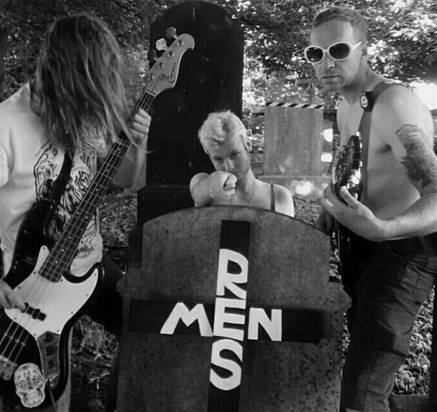 LIVERPOOL rockers The Resurrection Men are preparing to bring their legendary 'Rock Macabre' night to the Invisible Wind Factory for the first time. The band will take over the basement at the popular dockside venue on Friday, October 13 promising an unforgettable night ‘of horror and wonder’ on the evening of all things supernatural and superstitious. With dead roses for the ladies, insulting hand stamps, a bubble machine cascade, eyeball balloons, a theremin showcase from Nathan Sanderson (Dr Orgasmo Theremin PhD) and psychedelic projection - Rock Macabre is like nothing ever experienced before. A number of guests are invited to perform different artistic routines and creative interludes around two blistering 45-minute sets from the ‘shirtless power trio’. Lead guitarist Dom Delacroix said: “Rock Macabre is a darkly humorous, anarchic rock ‘n’ roll show.